Public education is more stressful than ever for our children, as standardized testing requirements increase and programs like art, music and physical education are being phased out. The result of this type of environment is predictable, and the medical establishment and big pharma are making a killing by drugging active children with ADHD medications – but one Texas school district is challenging that status quo. Students don’t have to be drugged to do well. Meditation in schools is highly effective at reducing school violence and increasing concentration for learning. Higher quality nutritious and organic foods, rather than processed snack foods and fast foods, when served in school cafeterias are another part of creating an environment more conducive to the needs of children. The most common sense, natural solution to inattentive behavior in school children, however, may be the basic idea of giving children more time to free play and to engage their bodies in physical activity. 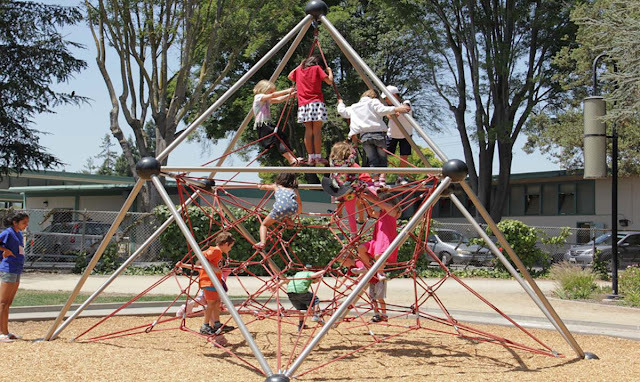 It’s such a simple notion in such unusual times that it actually sounds revolutionary, and several schools in Texas are being hailed for trying a new program which solvesbehavioral problems by doing nothing more than allowing children to playoutside more often during the school day. This post was republished from livetheorganicdream.com You can find the original post here.